The development of technology has paved easy access to communication. You can talk to anyone through social media, online pages, and other platforms as long as you have a connection to the internet. However, having some effort to talk to someone or show how much you care is still different as it can show your genuine desire to talk to that person. The creation of printable thank-you cards is particularly for this matter. Sending a person this specific kind of card can make the interaction more heartfelt. A thank-you card is a simple tool that you can make if you want to send your appreciation to someone. There are a lot of thank-you cards that you can create depending on the reason why you are thankful and the event where the card will be used. Writing a thank-you card is easy especially if you already have a printable sample or template to refer to. This is the reason why we have collected a number of thank-you cards so it can be easier and faster for you to create your own. A thank-you card does not necessarily need to be overly-designed. All you need to do is to ensure that you will select a theme that is related and relevant to the reason on why you would like to send the card to a person. More so, the message that you will place inside the card also matters. With all of those being said, you should also not forget that your thank-you card should be presentable and properly created. It is essential to translate your appreciation to the efforts that you are willing to apply in the development of a thank-you card. 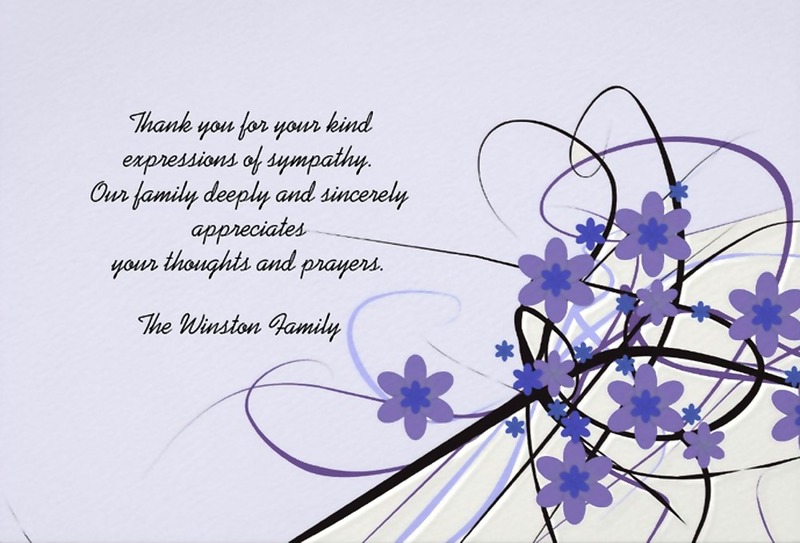 We have put together simple thank-you cards that you may use for any occasion. 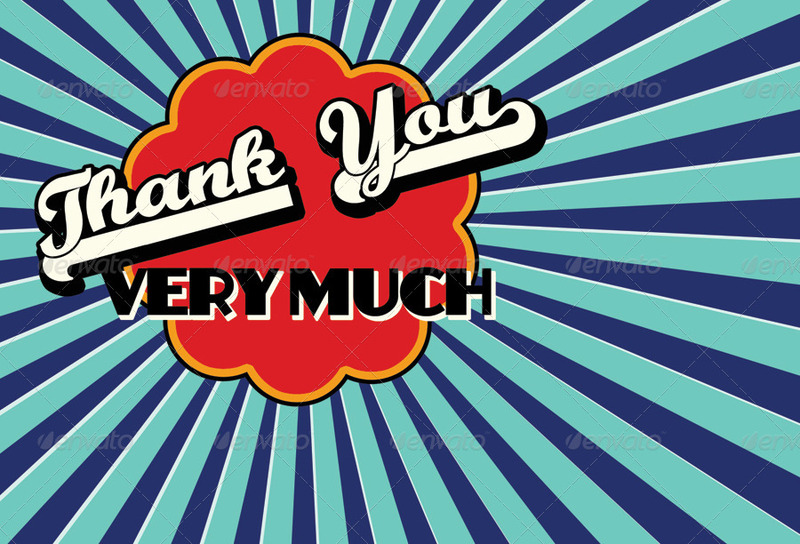 A long list of other thank-you cards can still be created aside from what has been included above. Again, it is very important for you to be aware of the reason on why you would like to send out a thank-you card so you can easily create a message that can fully reflect how you feel. This way, your gratefulness can be sent to the card receiver accordingly. Why Do I Need to Make a Thank-You Card? A thank-you card is a way for you to express gratitude. Hence, it is also a way for you to show your character or who you are as a person. You need to make people see that you appreciate of even the smallest things that they give or do for you. Your characteristics will always be remembered by people, give them a piece of that by sending them a nice thank-you card. A thank-you card can be the platform where you can show your sentiments. 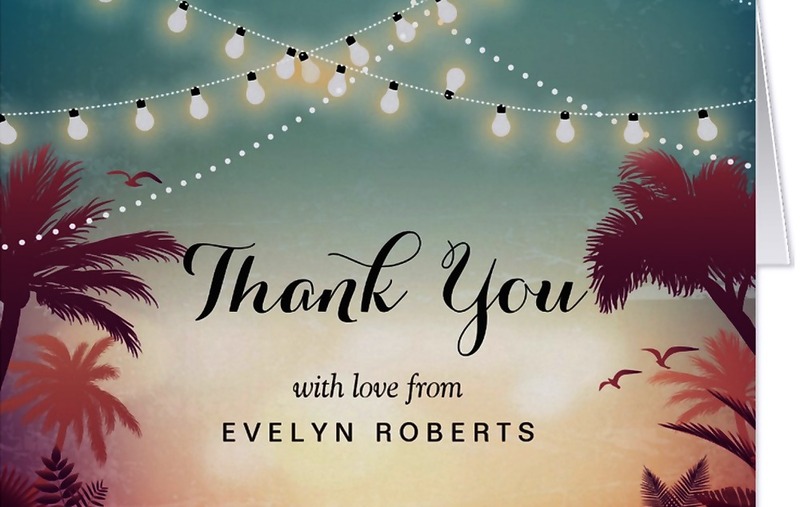 Though there is already a lot of digital ways on how you can connect with the people that you would like to thank, making a thank-you card is a more sincere way to show that you appreciate them. Showing your gratitude is not as simple as saying thank you. To show manners, you need to provide more effort when saying what you truly feel. A thank-you card can help you stand out as an individual. There are only a few people who take their time to write a thank-you card. With this, people can remember you even more if you will send them a written thank-you card. They can keep in mind that you very appreciate when it comes to what you receive which can leave a positive impact on you and your characteristics. 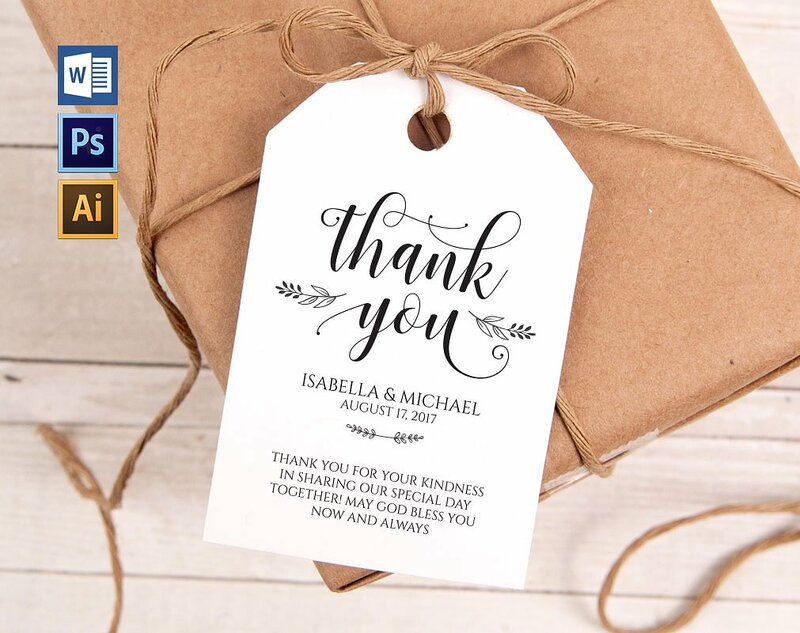 If you want to make your thank-you card more interesting and in-theme, you can create a thank-you tag that you can attach to gifts and other items that you will give to the card receiver. This is a unique way to show your appreciation. More so, you can do this in different kinds of occasions. Celebrating life is a wonderful experience especially if you have your friends and relatives by your side. This is mostly the case whenever there is a new member of the family. Baptism and baby shower thank you cards are sent out by the parents of the baby to give their appreciation to the people who went their way just to have fun either for the expectation, safe delivery, or baptism of a baby. 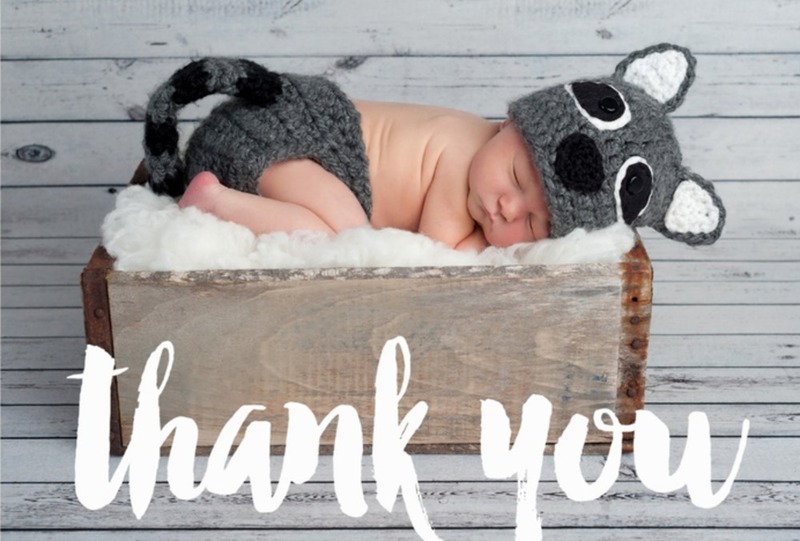 A baby thank-you card can surely stand out with a photo of the baby. It will look so cute if you will have a theme when creating this kind of thank-you card. You can select whether you will just use the photo of the baby’s face or the entire body of the baby alongside other props and design elements. 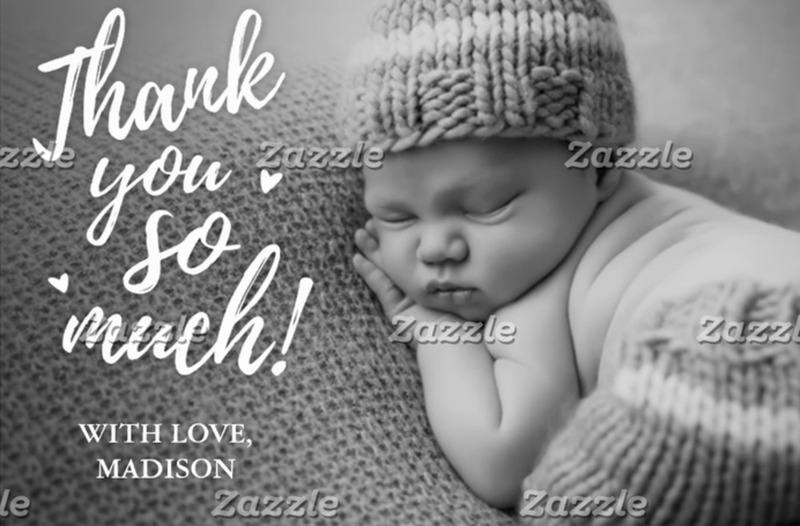 The creation of the baby thank-you card is a nice documentation of how you feel about the presence and support of the people for your newborn. Since they have shared their time in celebrating with you, might as well share them your feelings and emotions through a thank-you card. If you are grieving for the loss of a loved one, always keep in mind that there are people who are always there to support you and your family in your time of loss. There are friends, relatives, colleagues, and other family members who always got your back to ensure that you can cope up with the situation. It is always a great idea to show your gratefulness to these people. One way of doing that is by sending them a heartfelt funeral thank-you card. Send a personal message of appreciation to the people who are there with you during one of the saddest moments of your life. The sympathy and support that they have given you may be returned through a touching message of gratitude. 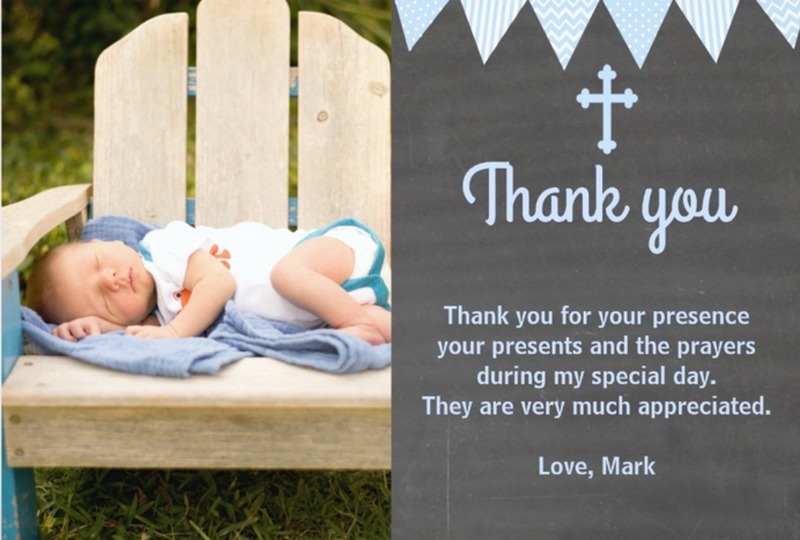 Use simple designs of thank-you cards so that your message will shine through. 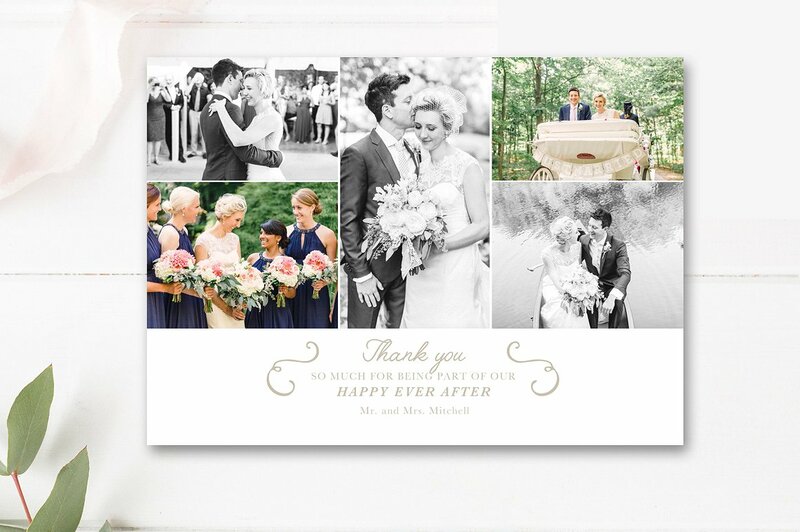 A wedding thank-you card is an important tool that you can give to your wedding attendees. There are a lot of preparations that are needed to be done by attendees so that they can go to your wedding and fit with the theme that you will implement. More so, they took their time either from work or other personal matters just so they can witness your union with your partner. 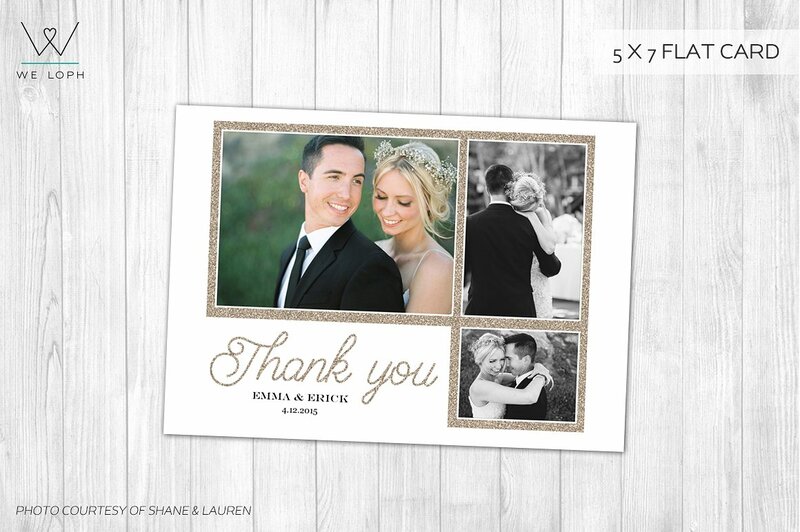 Show them that you truly appreciate their efforts by sending them a wedding thank-you card. Your wedding is one of the most memorable events in your life. This event will not be as it is without the presence of people who are there to either help and support you or celebrate with you. 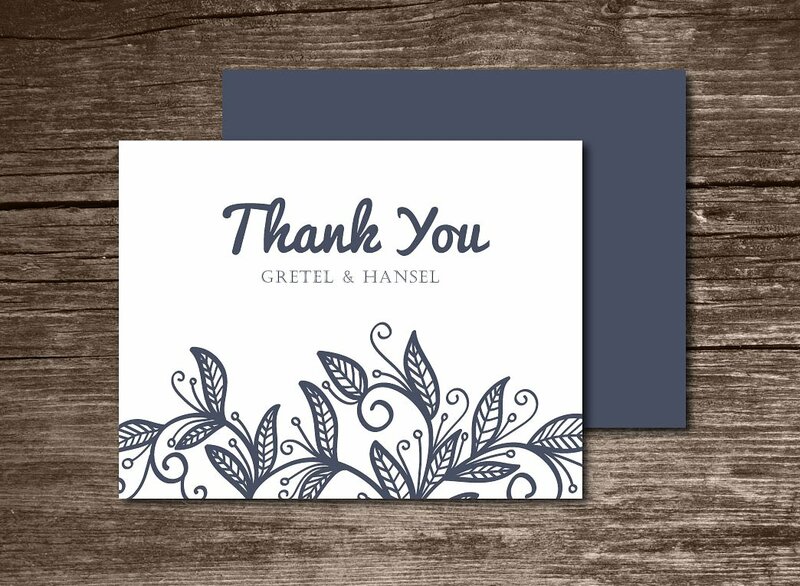 With the number of guests and suppliers that you have for a wedding, there certainly is a lot of room for the creation of thank-you cards. A few of the reasons on why wedding thank-you cards are created during wedding celebrations are listed below. You can give your wedding thank-you cards either at the reception of the wedding or a few days after the wedding. This will depend on your decision, the time that you have to prepare the wedding thank-you cards, and the types of wedding thank-you cards that you would like to create. The theme of the wedding. Your wedding thank-you card should be related to the design of the wedding location so it can be coherent with the other items and materials that you will use. 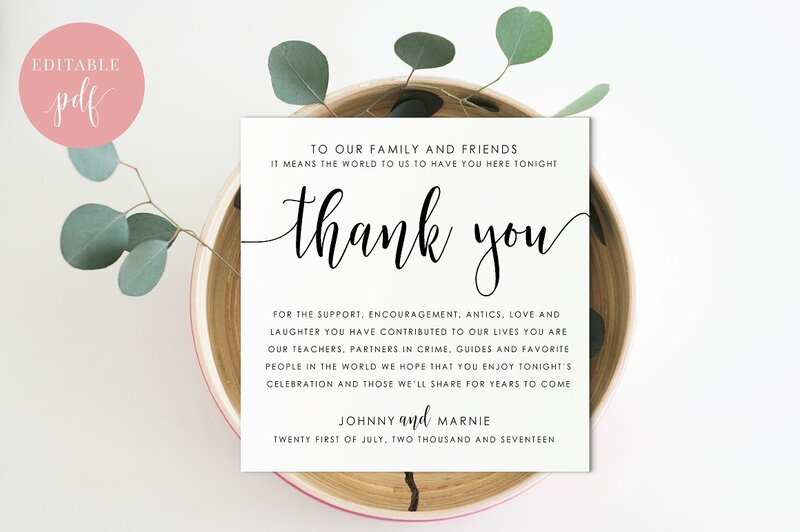 Your wedding thank-you card can be a part of your souvenirs so you need to ensure that this tool will not ruin a perfectly curated giveaway set. 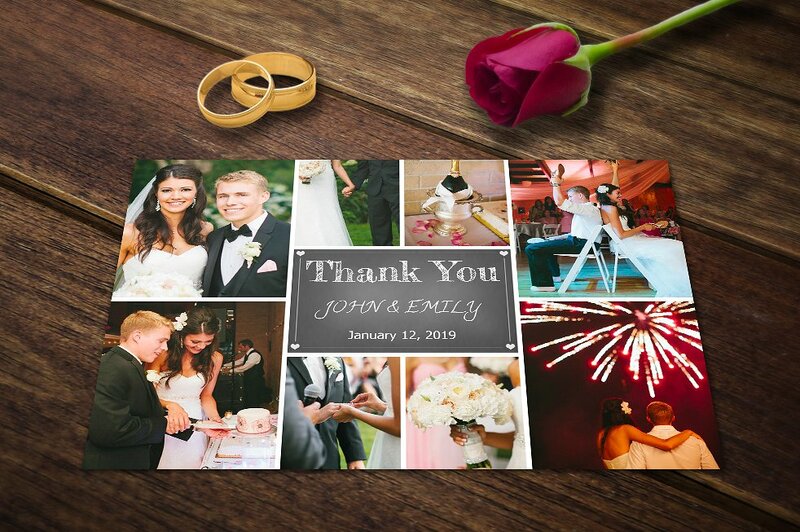 More so, your wedding thank-you card can add to the ambiance of your wedding reception program if you will display it during the reception so people can easily get theirs. The color scheme and palette of the wedding. 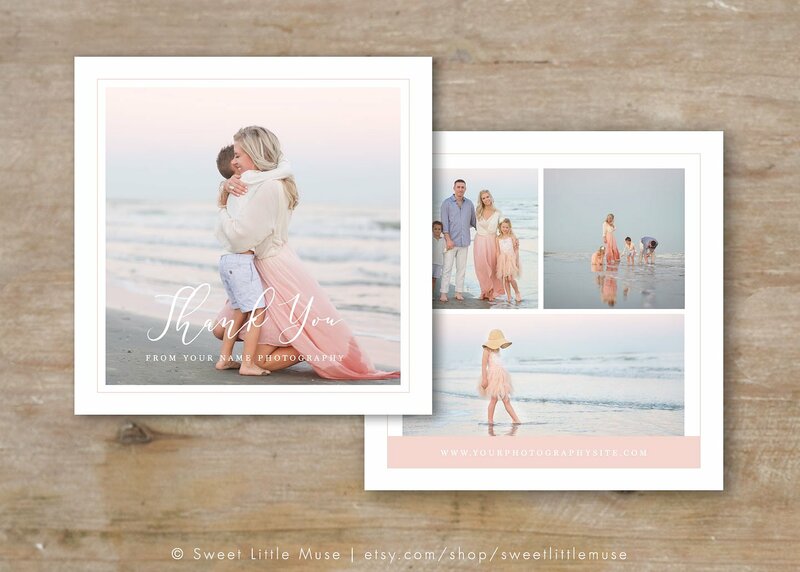 Aside from the theme of the wedding, your wedding thank-you card should also match the color scheme and palette that you will use for the entire wedding. There is nothing more satisfying than to see all the materials look good together especially for purposes of documentation. The people to whom you will give the wedding thank-you card. 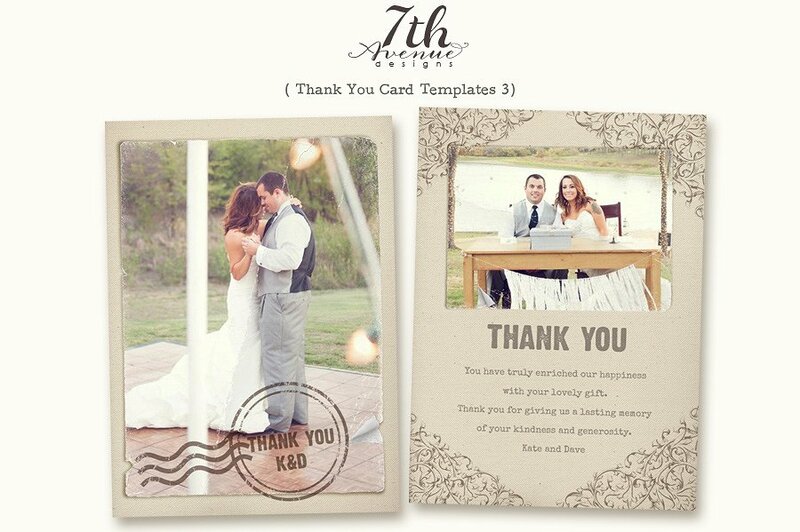 Your wedding thank-you card does not need to be generic. You can select a number of people who can get a special thank-you card. These cards can be given to those who have truly contributed a lot to the success of the entire wedding program. 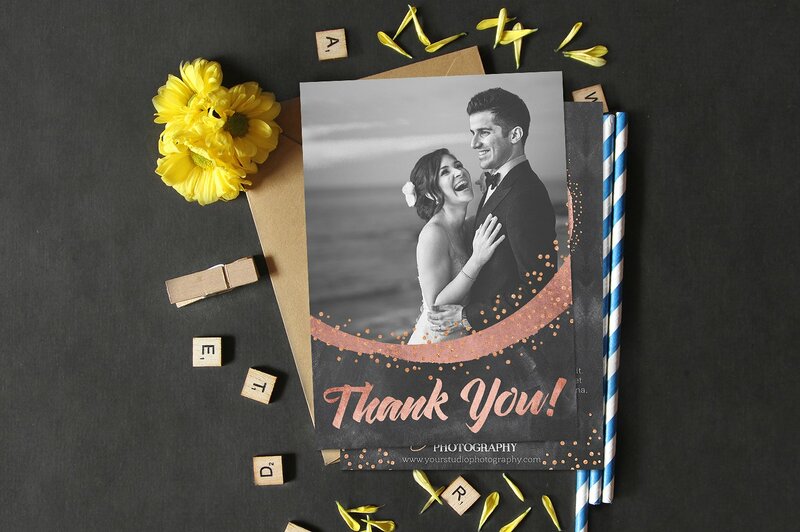 Make sure that you will make special thank-you cards so that those who have put their efforts for your wedding can truly feel that they are appreciated. The content of the wedding thank-you card. As we have mentioned above, not all wedding thank-you cards should have the same content. What you will put in that card is based on how you would like to thank the person to whom you will give it. 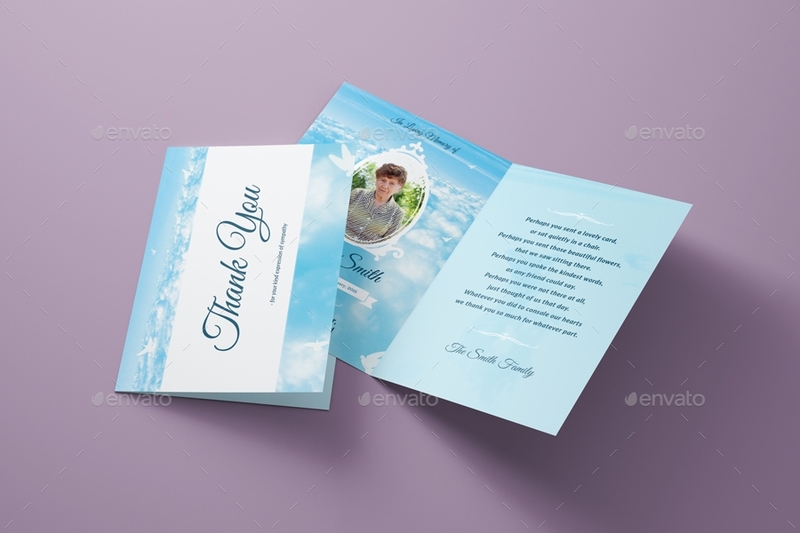 As an example, you can send thank-you cards to the caterers and it is for sure that the message that you will tell them is not the same with that of the card for your parents. 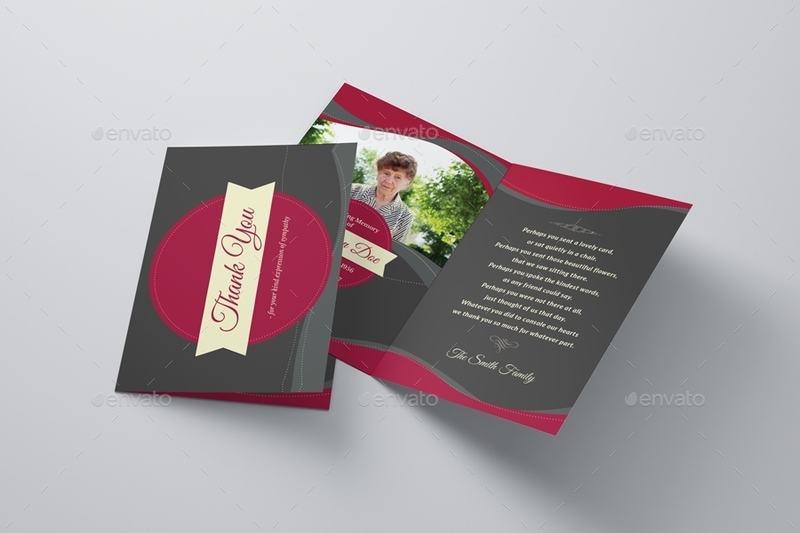 The overall wedding thank-you card design that you would like to achieve. 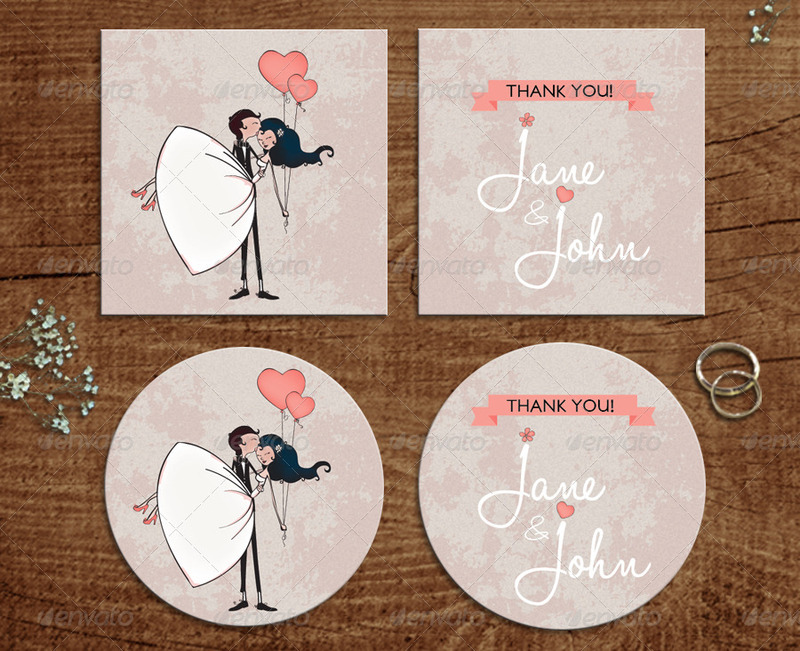 Since the content of your wedding thank-you card may vary, one thing that you can create in the same manner is the design of your wedding thank-you card. You can select a template that you would like to use and leave a space either at the back of the card or on any parts of it so you can write your personal message to your wedding attendees. 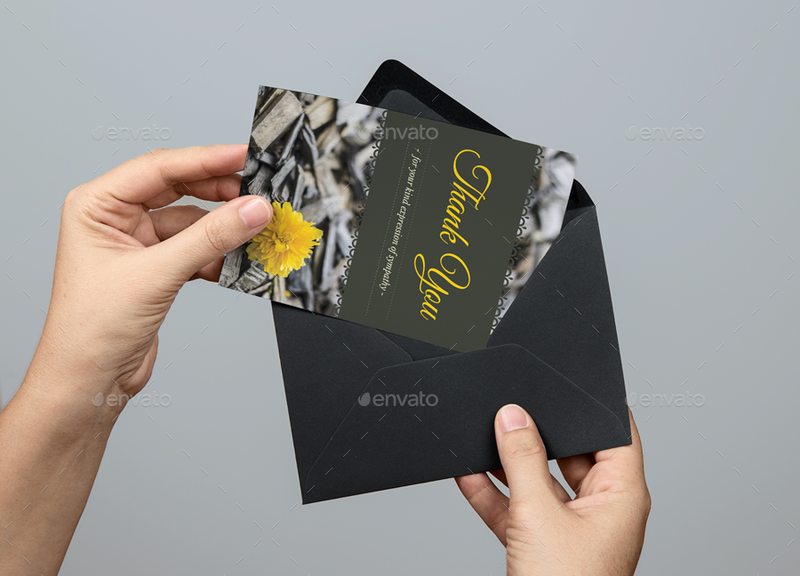 The usage of corporate and professional thank-you cards can make business relationships stronger. May it be a photo thank-you card or a simple thank-you note, it is essential for you to take care of your stakeholders if you want to achieve sustainability throughout your business. More so, it will be easier for you to retain professional communication and other transactions if you will make sure that your stakeholders are aware of how important they are to you. 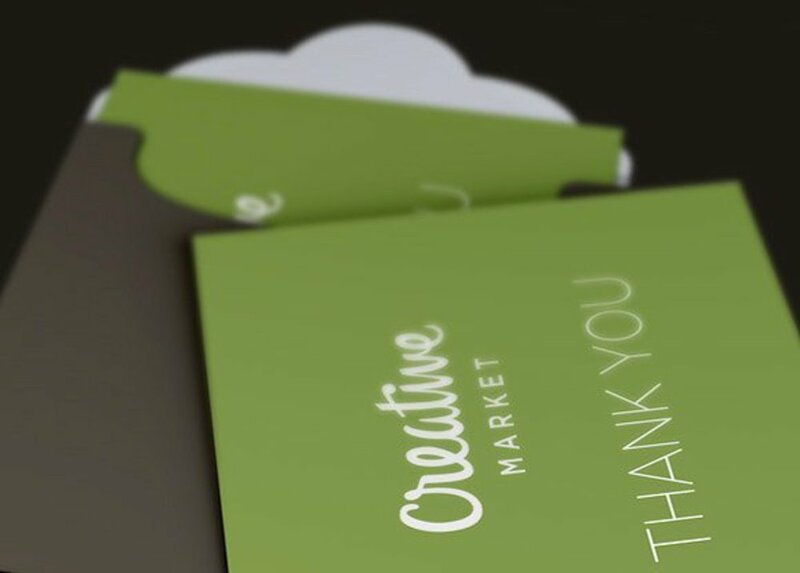 Since a corporate thank-you card is still considered as a semi-formal corporate document, you need to make sure that there is still professionalism that can be seen within the aesthetic that will be used for the card. As an example, this card provides a subtle hint of merriment but is still sleek and put together. Do not forget that your thank-you card should still reflect the brand of the business. 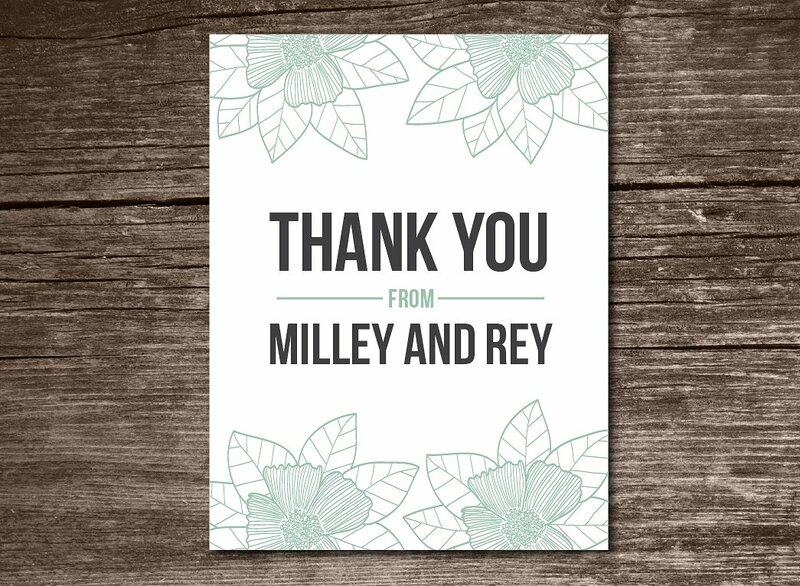 Having a readily made corporate thank-you card can help you be ready with whatever situation it is where this tool can be beneficial to be used. 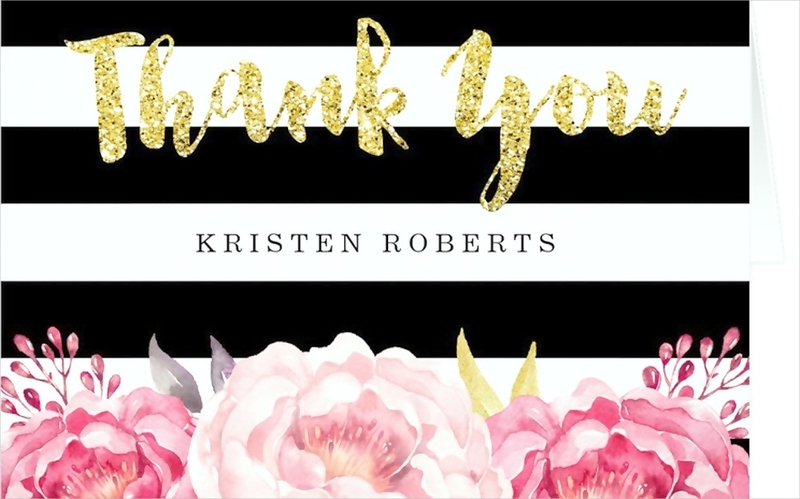 All you need to do is to print out templates of the thank-you card that you would like to use so you can just write on them whenever there is an opportunity or a situation that will require you to do so. There are a number of holidays that are celebrated each year. A lot of planning and preparation is made to ensure that every attendee of holiday parties will have a great time. 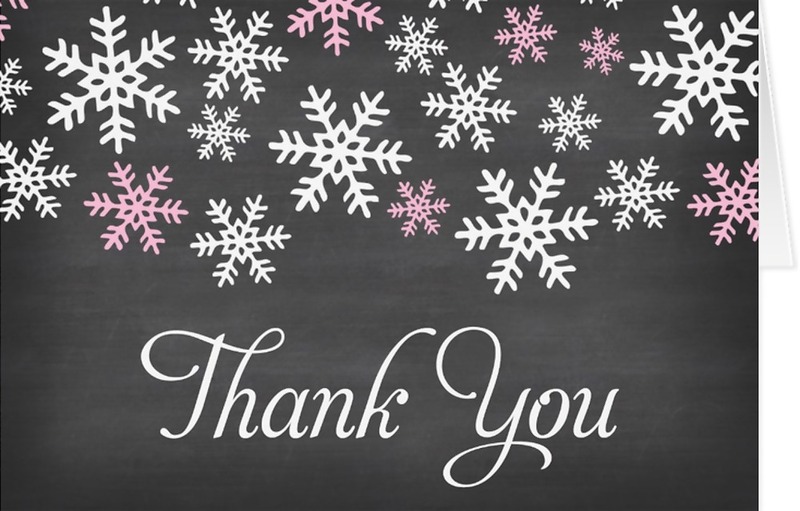 Show your gratefulness by giving out holiday thank-you cards or any other kinds of appreciation postcard examples. 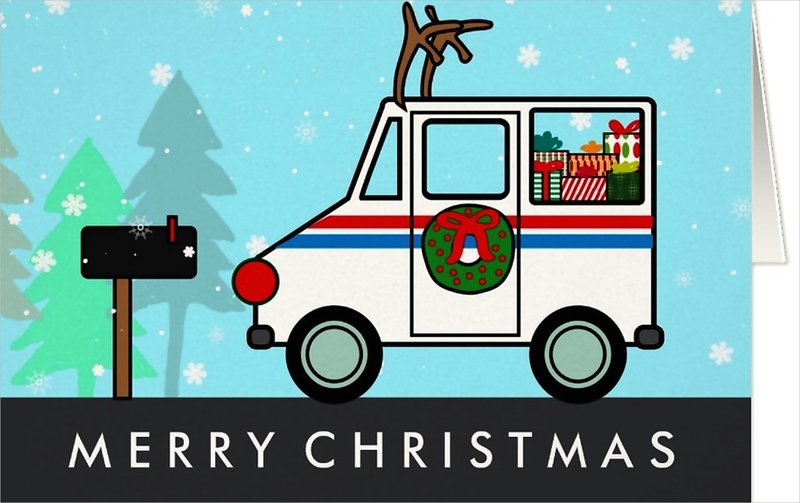 A holiday thank-you card can make a person happier during a special occasion. This is the reason why you should always be aware of the things that can affect the effectiveness of a holiday thank-you card. 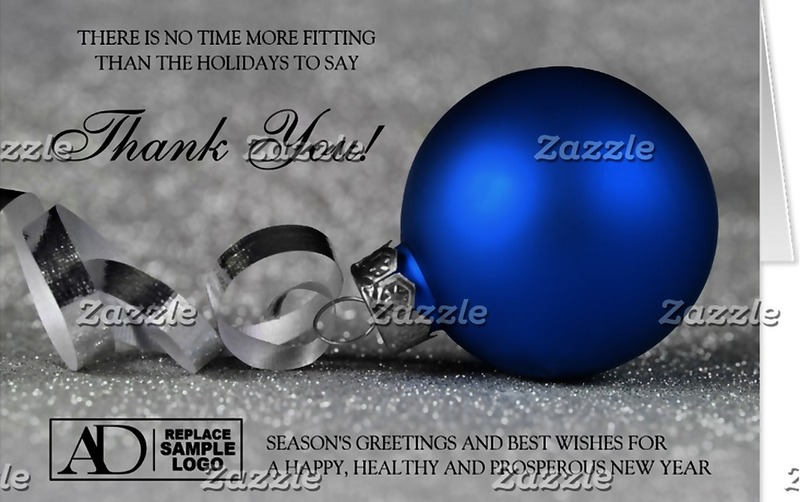 We have listed a number of tips that you may incorporate in the designing of your holiday thank-you card. Base the overall aesthetic of your holiday thank-you card on the occasion where it will be used. Identify the purpose of the holiday thank-you card and the reason why you would like a specific person to receive it. Create a holiday thank-you card that is both personal and vibrant so that it can reflect the atmosphere of the holidays. 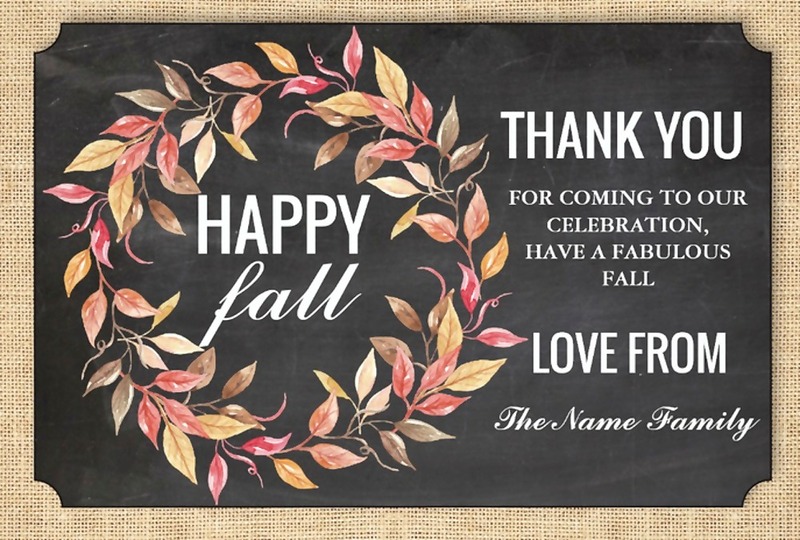 Use icons, images, and designs that are related to the holiday where you will send out your thank-you cards. Your thank you card must be specific. You need to make sure that you will state the purpose of the thank-you card. Saying thank you may not be powerful enough especially if the card receiver does not know what you are thankful for. You have to remind them of the situation or the instances that led you to write the card. You must ensure that you thoughts are clearly expressed. A thank-you card should be a representation of what you feel. 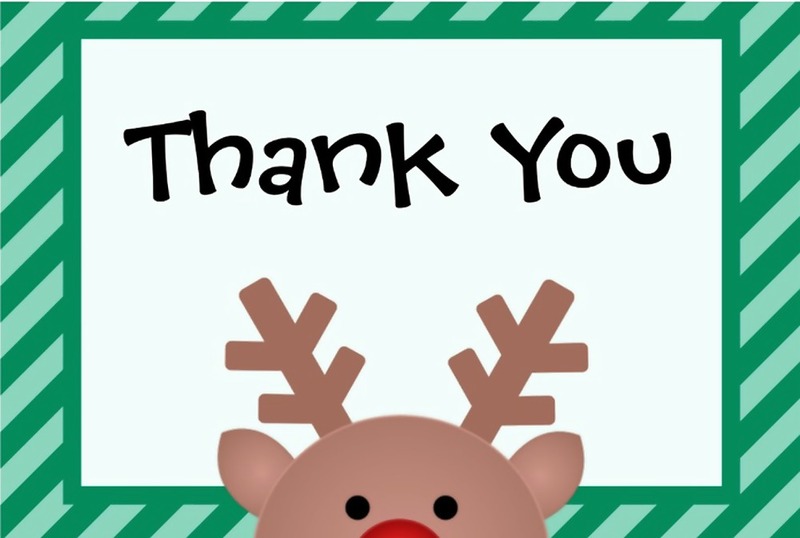 If you are truly appreciative of the presence, action or gift of a person; you must be clear and direct to the point when explaining that in the content of your thank-you card. The thank-you card that you will make should be polite and generous. 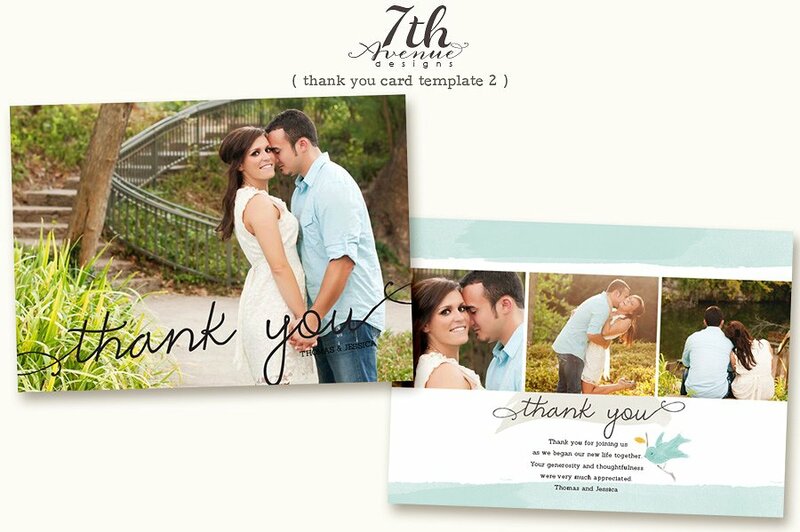 Select the appropriate words and terms to use when creating a thank-you card. The last thing that you would like to do is to offend the person whom you would like to thank. More so, you have to be aware of the language that you will use when stating your appreciation. Fill the letter with love and kind words so you can express your emotions the best way possible. You shall be prompt when sending your thank-you card. 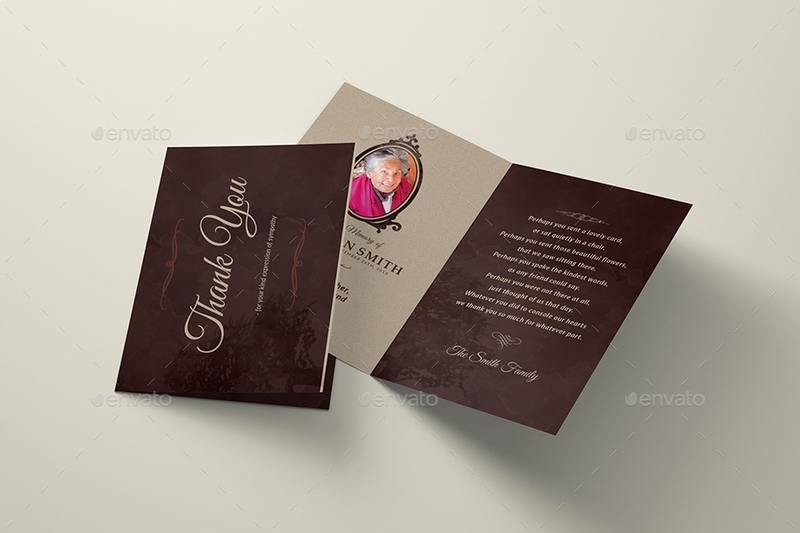 A thank-you card must be sent right after an event, a program or a particular action. However, there are times where there is a need to plan the design, content, and overall aesthetic of the specified card. There are also unforeseen circumstances and other uncontrolled factors that can affect the date when you can already send the thank-you cards. As much as possible, do not let a week pass before sending your thank-you card. The nearer your date of sending is to the event where the card is for, the better. You thank-you card must be personal. 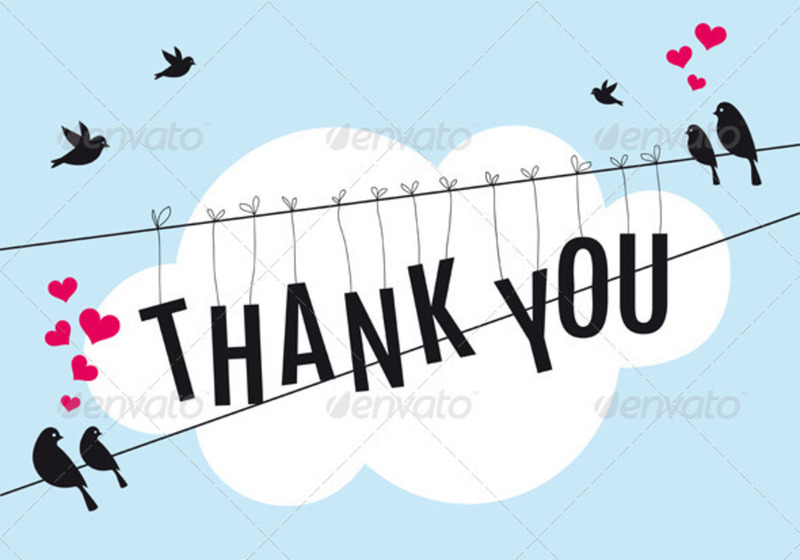 Have you ever been in an event where you are given a generic thank-you card? Though you can still appreciate it, there is a lot of difference when compared to a card that is made specifically for you. We understand that there are some events where there are more than a hundred guests that will be present. You do not need to send them the exact same card as they have played different roles during the event. Ensure that your thank-you card is personal so that it can be highly effective in conveying your message of thanksgiving. May it be a kids’ thank-you card or a business thank-you card, it is for sure that creating a thank-you card is simple and easy. Hence, there should be no reason for you to veer away from making this tool that can show your appreciation and gratefulness. 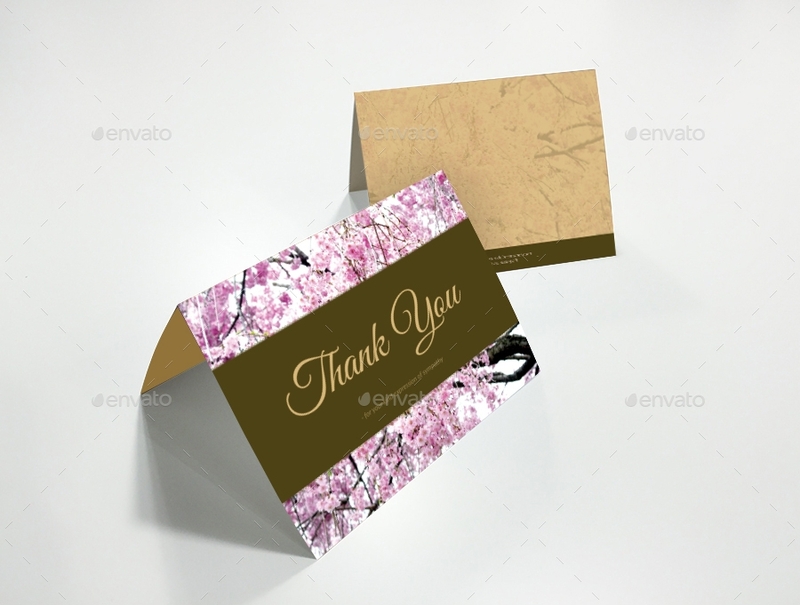 Through the help of samples and templates, make your job easier when developing the design of a beautiful and attractive thank-you card.